Prime Shop is an ingame shop which you can access by clicking on the Prime Shop button. The Prime Shop currency is called Balance or simply Points. You can charge these Points through database. Decorating - masks, hats, circlets etc. 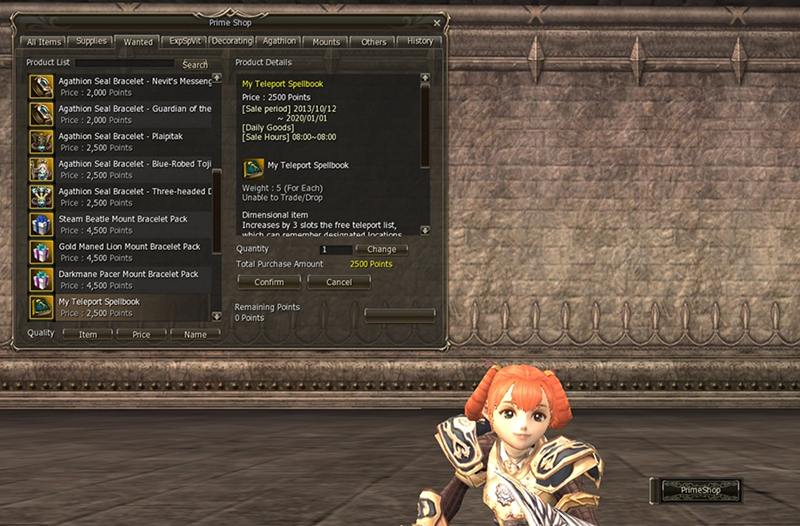 Others - teleports items, rune of feather, extra entrance pass to Kamaloka, color title, some transformations etc.